It is funny how ingrained traditions and history can be in our mind and perspectives on things. For me, I associate the start of the new year with snow, the cold and being inside. I mean of course, as it is winter. In my 40+ years before coming to Moshi, I always lived in the northern hemisphere and most of it is relatively colder parts. So now, even with the hot weather I still cannot seem to say that it is summer, and I doubt that I am the only one this happens to. Teaching Theory of Knowledge you spend a lot of time talking to students about perspectives and how they shape our lives and affect how we react to different situations. About how important it is to see things from another person’s point of view. A part of this I believe is that seeing things differently requires effort and focus, I am just not that focused on the time of year, so it just slips out. As we are becoming a UWC, it is important to remember that a big part of the focus will be on intercultural understanding and mutual respect. I know that all of us are very capable of these things and when we are thinking about it, they are really easy. The question is, how do we get them so ingrained that we do not have to think about them? I hope you have had a good first week back! This is an email to inform you that M4’s will have a second bake sale on Monday the 21st January 2019, at the breezeway during break time (10:15-10:35) . All the money raised will be used to build a playground at Kilimanjaro Orphanage for Street Children and Orphans. The money that was raised on the first bakesale unfortunately wasn’t enough to build the playground we envision. Our next Farmers’ Market is on Friday January 18th from 11am to 2pm. Please come as see the selection of local produce as well as meats and cheeses from outside vendors. For those of you that attended last year you know that a group of volunteers gave of their time and effort to make it a wonderful event. Once again, we are looking for those that might be interested in sharing their skills, passions and having a good time preparing and planning this event. If you are interested in helping, please contact Maria at maria_mohamed@yahoo.com. Everyone is invited to join us at 6:30pm on Tuesday January 29th on the Director’s lawn for the PTA AGM. If you have any questions please contact the PTA at pta@ed.ismoshi.com. Service is at the heart of the UWC mission and is an integral part of the learning programme. UWC believes in the transformative nature of service learning and in the responsibility we have to one another and the planet. This is a sentiment we share at ISM and Service learning is an area we are hoping to develop in the future. As a staff, we believe that if we want to empower students to become aware, able and active contributors to the community, then, surely, we need to model this as adults. For this to happen, we should dedicate time and resources to promoting the idea of service and service learning within our staff community. So, as part of our professional development day on Monday, the teaching staff from both ISM campuses walked the walk as active agents of change! The site hosts a tree nursery with nearly 50,000 seedlings, soil conservation demonstrations, two large fish ponds, demonstration beehives, fuel efficient stove models, traditional Chagga huts and a small library. 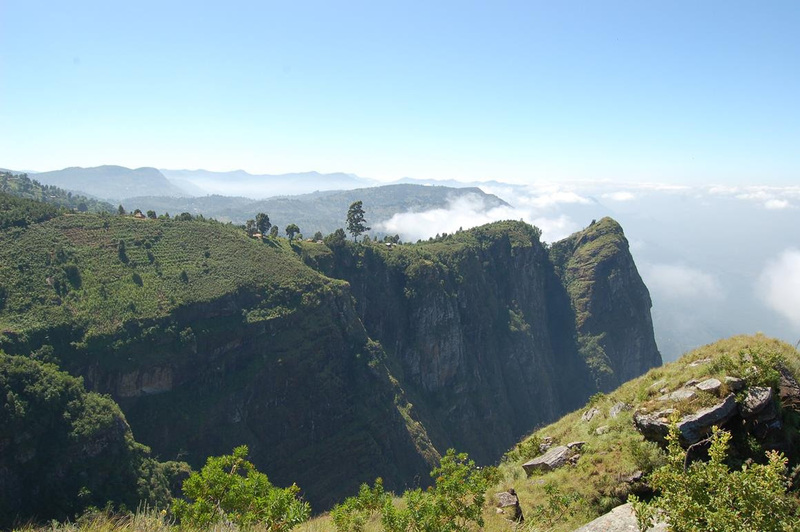 The idea of the project is to discourage local villagers from cutting down trees from the protected Mt Kilimanjaro forest which is located in the Mweka area. In order to achieve this, the project invites people to plant fruit and teak trees on marginal land in the area as a source of income for the villagers. The project also generates additional income for the older ladies from the village as they are paid to nurture any trees that are planted for 3 months afterwards. Apparently, the project works on the assumption that 30% of trees will not reach maturity. As an ISM staff, we worked incredibly hard and, together, planted 1000 trees! We were rewarded with a freshly cooked, vegetarian lunch by the villagers, using local produce. 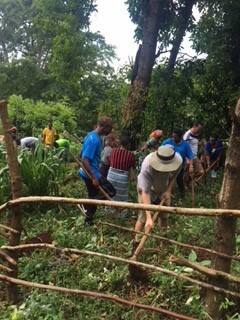 It was a fantastic experience and, hopefully, an inspiration to our community that Service can become an integral part of life and learning at ISM. The first week back brought some exciting events as the diploma students received a visiting school from Sweden. Four D2 students and two accompanying teachers joined ISM classes for a full day. In TOK our students prepared a lesson for our visitors and in Research and Writing the groups exchanged ideas about the extended essay. 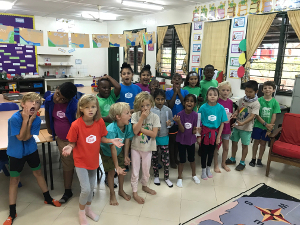 Finally, our visitors enjoyed drawing, maths, dancing and reading with children at the D1 CAS activity Simba’s Footprints Foundation. We are looking forward to a fantastic range of outdoor pursuit trips available to our secondary students. A new trip this semester is the OP Level 2 trip mountain biking trip in the Moshi area as we endeavor to develop a full OP mountain biking programme. Please note that the differing prices for Tanzanian and expatriate students reflect differing charges from the National Parks. Mt Kilimanjaro summit Level 5 Altitude trip for over 16 students who completed Level 4 the Dates TBC – either June or August 2019. Please do encourage your son/daughter to take this opportunity to experience the wonderful environment here in Tanzania. We are pleased to have welcomed new students to the MYP this January and glad that some more are joining us soon. All MYP year groups are scheduled to present the work they have done in their service projects on Monday January 14 in the assembly. The assembly starts at 7:35am. All are welcome. The M5 candidates present their Draft 2 Reports on Tuesday January 15. The final reports will be handed in on January 29, 2019. The exhibition will follow on Tuesday February 12 as from 10:35am to 2:30pm in K-hall. The M5 students will take Mock Examinations on February 20 to 22, 2019. 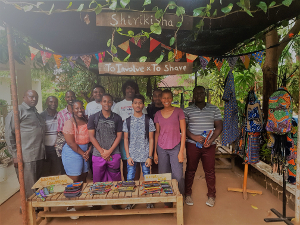 On Wednesday students in M5 English Language Acquisition visited Shirikisha as part of their ePortfolio unit ‘Actions and interactions for a better world’. The purpose of the visit was to look at the roll of inclusion and empathy at Shirikisha. Students interviewed the founder, Cocaya, and explored the site; even having a chance to make bags with tailors! The trip was a great opportunity to interact with the local community and student reflections show that it deepened their understanding of inclusion and empathy. We are grateful to Cocaya for having us! The Associated Board of The Royal Schools of Music Practical Music exam session will be in May 2019. Music Students who wish to participate need to pay and register with Miss Mary by Friday 25th January. Prices and exam entry requirements can be found on the music notice board. Secondary Music students please make sure you have signed up for Instrumental lessons for this quarter for piano, guitar and drums. Mr Machibya will be offering clarinet, saxophone and trumpet lessons on Tuesday, Wednesday and Thursday afternoons after 3.00pm. 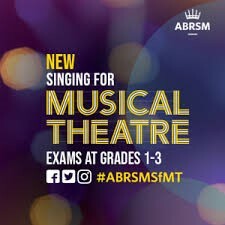 ISM will be running musical theatre singing sessions for Secondary students from 3.00-4.00 every Monday, and for Primary students every Wednesday from 2.00-3.00 to prepare students for the new musical theatre singing exams launched this year by the ABRSM. Exams will also take in May and students need to pay registration fees by the 25th January to Miss Mary. 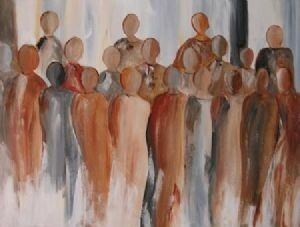 Community Choir Monday 6.00-7.30pm, Music Room. Singers of all abilities and ages welcome. It’s almost that time of year when ISM celebrates Book Week. As you’ll remember from last year it serves as a fantastic opportunity to take time to focus on reading and its benefits. The occasion also gives students from across the school an opportunity to purchase and enjoy a wide range of new books not always available in Moshi. We are looking for parents to help out with this event. If you are someone who loves books and would like to help, please contact Laura at laurawebb@ed.ismoshi.com. Only one week to go until we start back into NTAA competitions. Saturday the 19th of January will have our U15 boys and girls soccer and U19 boys and girls basketball teams competing in the first weekend of their tournament at Braeburn International School. It has been a long time coming for these students having started training in August and we wish them all the best as they continue their development and passion for their sport. The after-school sports calendar has been set for the next 5 weeks (until the end of the above mentioned sports seasons) and then will change again for the remainder of the year for the next season of NTAA. All clubs and sports have been running as of last Wednesday. For primary, please do not forget we have Primary Football on Saturdays from 9am to 10:30am. If you plan to attend please let us know so we can plan accordingly. name (as shown on your passport), passport number, nationality, expiry date, date of birth, gender and age as of 3rd of March 2019.
open run/fitness training on Tuesdays from 4.30pm – 5.30pm. School opened for quarter 3 on Tuesday 8th January 2019. We welcome back all the returning students. We have also have new boarders this quarter in the Primary, MYP boys’ and one in the Diploma boys’ dorm. We hope they will settle in quickly and feel at home. A few more boarders are expected to report in the course of the quarter. The D2 boarders have settled to a busy quarter and are preparing for their mock exams which start on Monday 21st January. 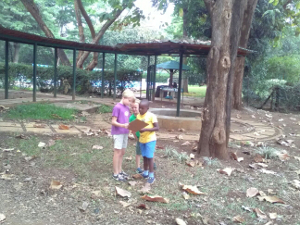 Various activities have been planned for the weekend to involve the boarders, including a bonfire at Kivuli dorm, and a bonding session in Kijana dorm, and football on the top pitch. There was also be a Q and A session on UWC on Saturday afternoon in Kisiwa dorm organized by the UWC volunteers. The year has started with a very positive vibe. I hope the new students are settling in well and enjoying their experiences. 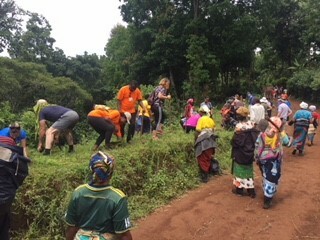 For the inset day, teachers from both campuses got together to plant 1000 trees in Mwika and enjoyed lunch together with the village members. I hope this sets the pace for community service with the students as well. It was beautiful catching up with the students and hearing all about their break. 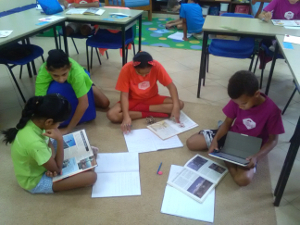 The children are deeply engaged in their inquiries as they consolidate their learning. Our P6s are gearing up for their Exhibition retreat. We will be joined by the P6s from Arusha campus on Thursday and Friday of next week, where they will bond and look at various elements of the PYP in preparation for the Exhibition. Next Friday, we have the P1/2 students presenting in the Primary Gathering. Primary parents, you are welcome. Our after-school activity has taken off well and there are some changes in the timings of two clubs. Swim Squad on Mondays will run from 1:20 to 2:00 while Intermediate Swim on Thursday, will run from 2:10 to 3:00. These changes are as a result of the Senior School swimming program, where the secondary students are also using the pool. This will only run for some weeks this semester and then our club timings will go back to usual. I have already approached some of you to try a new idea for EC2, the Parent Learning Partners (PLP) initiative. Each EC2 child chooses a PLP (‘blind’)… based on that PLP’s list of skills or interests and how these relate to the child’s interests. This may or may not be their own parent. As learning progresses, PLP’s act as a point to which children feedback their learning. They help direct the child to the people, activities or research that might help them go forward. 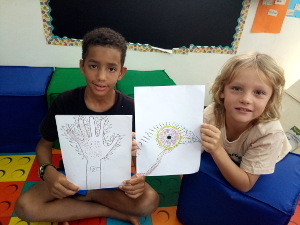 PLP’s will support the child in developing ways to take action by sharing what they have learned with others in the learning community- feeding back in meaningful ways into the same community from which they themselves receive support. Children will be producing individual graphic timetables, giving them agency in deciding exactly when, where and how they will learn. As you can imagine, this will be an interesting and busy time for our EC2 children. Translating complex ideas into a workable scaffold for such young children will be an exciting journey that I hope you will join us on. What an exciting start to the semester. We welcomed two wonderful additions to our class, Nahar and Genevieve! Everyone has been so excited and happy to have them with us in the class. They have jumped in to our class routines and I hope they are loving P1/2. It was interesting to hear all about their holiday escapades. They have drawn pictures and some have written accompanying paragraphs. We will place them on the wall next week so that you can look through them. Apart from our usual number tasks, we have been learning about 2D shapes. We have made 2D shapes with straws and clay as you can see in the picture as well as creating art work using them. We are now on our way to differentiating them using their properties. This coming week, we will be performing during primary gathering. Please make some time to come and watch us on Friday the 18th. The students in P2/3 and I would like to start off by letting you all know that we have been lied to! We spent Thursday afternoon looking at measurement. We investigated graduated cylinders and to our horror found out that 100ml in one cylinder did not come out to 100ml in another cylinder. We are absolutely scandalized and will bear these scars forever! The students have spent a part of this week looking at the Water Cycle and recalling words such as precipitation, evaporation, condensation and collection. The students have created beautiful collage work to portray the Water Cycle, please come take a look at this in our class. The P2/3 students have also been shape experts and shown the P6 students their fantastic skills with 2D and 3D shapes. We enjoyed going on a shape Scavenger Hunt with our P6 buddies. 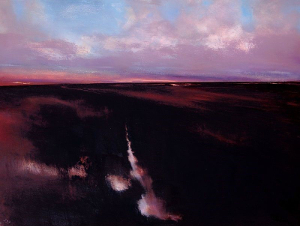 I hope everyone has a restful weekend. The students have worked very hard this week! It has been an awesome week sharing holiday news and reviewing some of the areas we had covered last semester. The students are more confident than ever and very tuned in to our inquiries in class. We are already planning our Summative Assessments and over the coming week the children will be working on their projects. We will be looking at the concept of time and find out how time was represented in different parts of the world. In Language Arts, students will work on rituals that are practiced by different cultures around the world and share their findings through digital story telling apps like toontastic. This week we have enjoyed creating and responding to Aborigine Art and the students were very inspired to do their own. In the coming week we will look at Art from India. It was a great week back with the class. They enjoyed sharing stories while practicing writing personal narratives. For our Unit of Inquiry, they are looking into projects that illustrate how their power source makes useable energy. Next week, we will continue researching and then create posters that the class will use to educate one another about different power sources. Everyone is excited to that we started Book Clubs this week. We have three groups in the room enjoying different books at the same time, so children can practice reading at their level. I encourage reading clubs at home to share reading a book as a family. This is great for the rainy months, and encourages a love of reading. The class is requesting more art time, so I would like to extend an invitation to any parents who would like to offer a guest art lesson. alongside the Exhibition workshops, we hope to go swimming and hiking.